This book is a practical guide for medical professionals with little or no business experience who are interested in establishing health care facilities in developing countries. It is an introduction to the kinds of basic research and planning required to identify viable solutions and reduce the risk of failure. Drawing on resources and lessons from across the World Bank Group and elsewhere, the book aims to provide medical entrepreneurs with some of the tools they need to build sustainable health care facilities, whether for-profit or nonprofit, for their communities. It offers guidance on key issues such as the project concept, prefeasilibity and feasibility analyses, regulatory and policy environments, investment and financing needs, marketing and pricing principles, facility construction, staffing, and risk management. 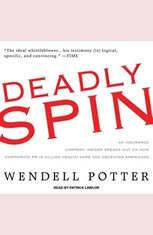 Insurance company insider Wendell Potter, a former senior vice president of CIGNA, speaks out on how corporate PR is killing health care and deceiving Americans. This country assessment is part of a set of studies planned in order to provide a better understanding of how to improve the business environment in which the private sector operates in Congo and other African countries. The assessment was conducted in order to establish a baseline of information, to help with political decision-making and provide market information. The private health sector assessment in the Republic of Congo provides a diagnosis of the nature and the effectiveness of the interface between the public and private sectors, establishes a dialogue on policy with stakeholders, and makes recommendations for reform that would bolster public and private involvement. The methodology is based on a supply and demand approach to identify market, policy and institutional barriers, and options for reducing these barriers by changing policies and initiatives. The information pertaining to demand reveals how users perceive private providers and their potential. The information pertaining to supply gives a better understanding of the role that private providers play and the challenges they encounter. The institutional information shows how Congos institutions have facilitated or hampered the private participation. The study methodology includes the following aspects: (i) presentation of the general context of the private health sector in Congo, (ii) multidimensional analysis of demand, (iii) multidimensional analysis of supply, and (iv) analysis of institutional context. Options for action presented in this report include (i) policy and governance initiatives, (ii) regulatory initiatives, (iii) incentive initiatives, and (iv) concrete measures for public-private partnerships (PPP) in the health sector. 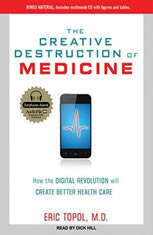 Field expert Eric Topol, M.D., provides a practical view of health care from a patient's perspective and explains how the advent of wireless Internet, individual data, and personal genomics will revolutionize the future of medicine.